The gathering offered an opportunity for students, staff, and administrators to share experiences, learn from experts, and meet administration officials who share a commitment to community service with an interfaith engagement component. 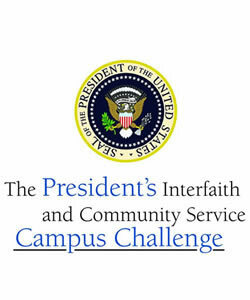 The program celebrated work that is happening on campuses across the country to provide students with opportunities to develop lifelong skills in interfaith cooperation and community service. Georgetown faculty, staff, and students participated in plenary and panel discussions.